Welcome to Shania Kids Can! As the creator of the Shania Kids Can Charity Foundation, I would like to explain my purpose behind this effort. I know that not all children in our schools receive the same love, nurturing, guidance and stability in their personal lives. Many young students are less fortunate and endure daily life without the personal care that meets even the basic nutritional, emotional and hygiene needs essential for proper physical and mental health, yet in some cases goes unnoticed by others. We currently have special needs programs for children with learning and behavior disorders in our schools today, but we don't have aid and support for children who may not have a learning disability but are still challenged with daily school life for reasons that can be associated with challenges in their personal lives. The goal of the Shania Kids Can Charity Foundation is to create a program in primary schools that recognizes and assists students who fall into the gap between a dysfunctional home life and qualifying for a social service intervention. These are children who may be experiencing abuse or neglect outside of school that may not be obvious, or children who are not necessarily being abused or neglected but who's social and educational experience at school is affected due to personal life issues which are out of their control. As a child, I often went to school without having had breakfast, without a lunch, no money to take part in pizza days or many field trips for example, because I wasn't able to pay or get the authorization signature from my parents because they were not available or unable. Reflecting back, I realize that my disadvantages created a lack of self-confidence and insecurity, causing me to withdraw and be less social than I would liked to have been otherwise. In addition to feeling inferior, hunger caused a lack of energy, enthusiasm and motivation to interact with others. My average classmate had cleaner clothes, freshly washed and brushed hair, healthy teeth, and appropriate lunches, aiding in their own self-assuredness and overall better health than disadvantaged students. Unlike me, my classmates’ parents were present at school assemblies, attended parent-teacher conferences and showed a general interest in their child’s education. After several days of not eating properly, I would just stay home from school to avoid the discomfort of trying to focus on class work and face another lunch period surrounded by classmates enjoying their nicely prepared meals. I would not want to ask my parents to sign a written excuse reflecting the reason for my absenteeism or, more awkwardly, ask them to lie in order to avoid a social service intervention, so I would simply write and forge the notes myself to maintain privacy for my family and keep my teacher or principal satisfied. I felt an enormous stress taking the solution into my own hands, but in my mind, it was necessary for the greater purpose of protecting my family from investigation. This is often why some children will avoid asking parents to sign permission slips for them to participate in special events at school, because they are uncomfortable for whatever reason, to approach their parent/s with getting the signature. In my case for example, there were times when I didn't have the proper clothing or equipment to participate in a particular event and didn't want to make my parents feel bad that they couldn't provide it. It was emotionally less painful for me to just not participate. In the case of having SKC in my school, I would have been able to approach my parents with the permission slip to participate, explaining that my equipment was being provided and all I needed from them was their approval signature. My own philosophy of coping with family issues as a child was to remind myself that childhood was only temporary and if I could get through those few years, I would be able to take control of my own destiny as an adult and break free of the dysfunction. Although that may have been a mature way to observe my reality at the time for my age, I don't believe it is a fair responsibility to expect primary age children to have to bare. I know that in my youth I would have benefitted from a support system at school like SKC that had an enthusiastic, compassionate program leader who listened and understood me - a person who reinforced areas of my day that I found challenging such as recognizing when I didn’t have a lunch and providing one, paying for pizza day when I didn't have the money to pay myself, ensuring that I never missed a field trip or helping the child obtain permission slips from parents, or having an open communication with my teachers to create an awareness, sensitivity and appreciation of my personal situation. I would have felt that even though I might have been going home to dysfunction, I knew I had a safe, attentive, nurturing environment that I could count on and look forward to each day. Instead, I went to school concerned about being ridiculed for being inferior in various ways, while at the same time anxious about what excuse I was going to come up with for not being able to participate in hot dog day that lunch hour, for example. I promised myself early on in my own childhood that some day I would help kids just like myself cope with their disadvantages and prosper in spite of those challenges. 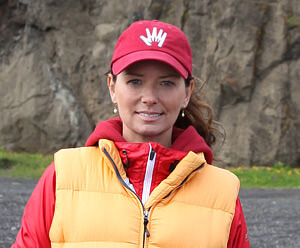 Shania Kids Can Charity Foundation is fulfilling that promise. Similar to my childhood experience, many children still remain under the radar of social services as, while they endure family dysfunction, the neglect or abuse may not justify intervention according to the agencies guidelines. It's incredibly humiliating to be faced with the exposure of dysfunction in the family home; some children go to great lengths to cover up their situation and, unfortunately, succeed. There are many causes for family dysfunction that could result in a disadvantaged school life: economic challenges, single parent family, drug or alcohol problems in the home, domestic violence, over-worked parents, illness in the family, to name a few. These kids often go to school tired, hungry, emotionally stressed and not as ready to learn as the other students. The Shania Kids Can program will identify children who are experiencing hardship at school due to unfortunate circumstances in their personal lives and provide a discrete form of assistance - a place where they feel they can safely communicate that they are hungry or tired, explain why they were absent from school, or some other misgiving they may find is embarrassing or demeaning. Fulfilling these basic needs and diminishing the social challenges, Shania Kids Can will provide when needed, lunches, field trip expenses, moral support, basic hygiene tools and education, homework assistance and clothing items. If the student has retreated from socializing, integration into the school community will be nurtured. Providing support to these students at school, where they spend so much of their time, will help to lessen the stresses of their home-life dysfunction and enable them to recognize, handle and prevent issues that could appear in their adolescent and adult years. The Shania Kids Can program can contribute toward the prevention of destructive behavior that often develops as these students mature. Statistics show very clearly that troubled children are more likely to become burdens on society in the way of teenage pregnancy, drug abuse, high school dropouts, violence, prostitution, suicide and criminality. The SKC site explains more on these statistics in more detail. If we support our children at the primary age and teach them to become responsible, confident, proactive members of their school community, despite personal setbacks, I believe very strongly that they will have a much better chance at personal success in the future and grow to be positive contributors to society rather than becoming a statistic and burden on society. These students need to know that they are understood and that they CAN overcome the disadvantages in their personal lives. It's unacceptable for us to stand by and watch any child in this modern society suffer right before our eyes when there is something we CAN do about it. The Shania Kids Can program will pick-up the ball when the primary adult in a young child's life drops it; it will fill in the gaps so the child can participate more and feel included in the school community. I know these kids CAN do it, and we CAN help them. I hope we CAN rely on you to help support these children and increase their chances for personal success.